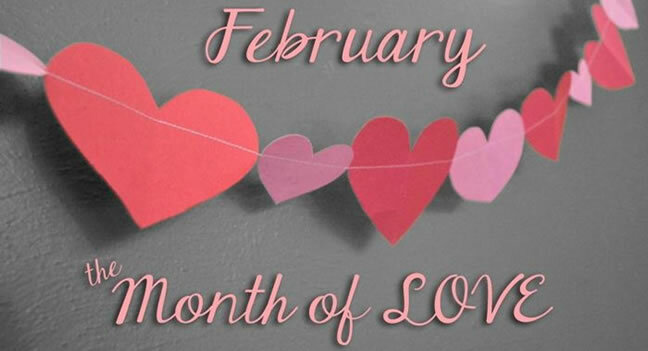 February has always been known as the month of love. 14 February is celebrated around the globe as Valentines Day. Due to a vast amount of commercialising, Valentines Day has somewhat lost its meaning. Let’s be different and try to reconnect and rekindle the meaning behind Valentines Day. Love is one of the most amazing things in our lives, it connects us to people, it connects us to things in a way no other emotion can. Love is what makes us human, love is beyond just being solely romantic. Sentimentality is a very special thing, not just for women but for men too. An extravagant gift is really quite lovely but if there was no thought behind it, it’s rather meaningless. This year lets be creative, different and inspiring in celebrating the month of LOVE. Not just on Valentines Day but for the month of February and beyond. Whether you are single, in a relationship, married or a parent, take the time to let the people in your life, know how much they mean to you and that they are loved. We lose sight of being able to say simple things like ‘I love you’ or ‘thank you’ so let’s try to do that this year. A simple act of kindness can express more love than anything of monetary value. Don’t get us wrong, planning something special for you and your significant other is definitely great and kudos to you for taking the time, energy and effort to do so. There are numerous ways to celebrate the day and spoil and pamper your loved ones. Whatever you are choosing to do… make it special by being authentic and true. This way it will resonate for years to come and not just last for the moment. We hope everyone celebrating has a memorable and beautiful Valentines Day!